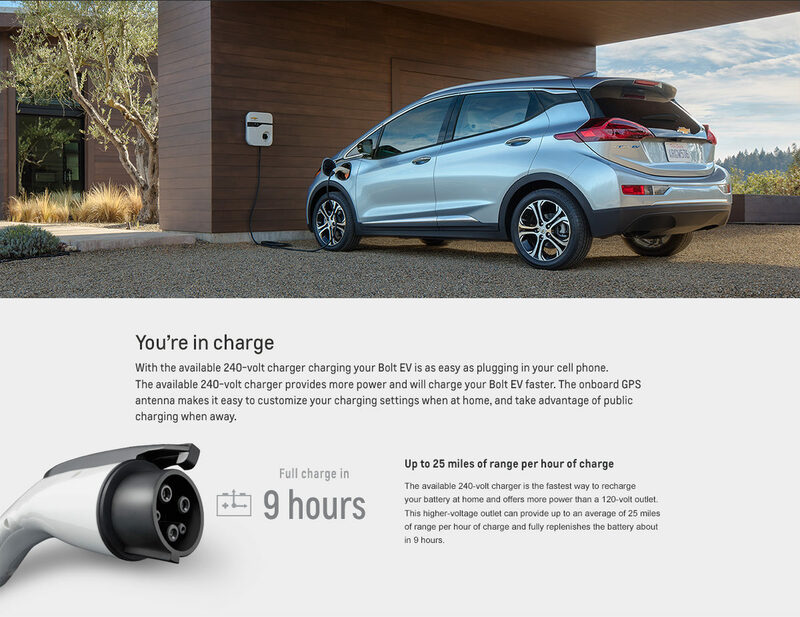 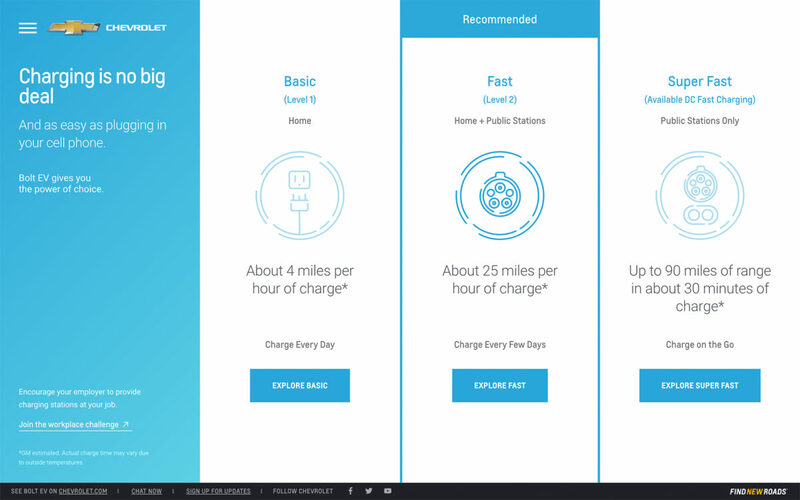 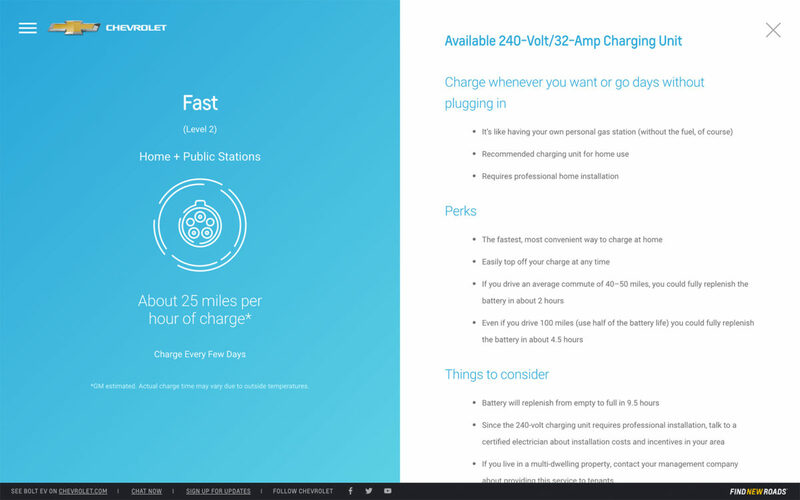 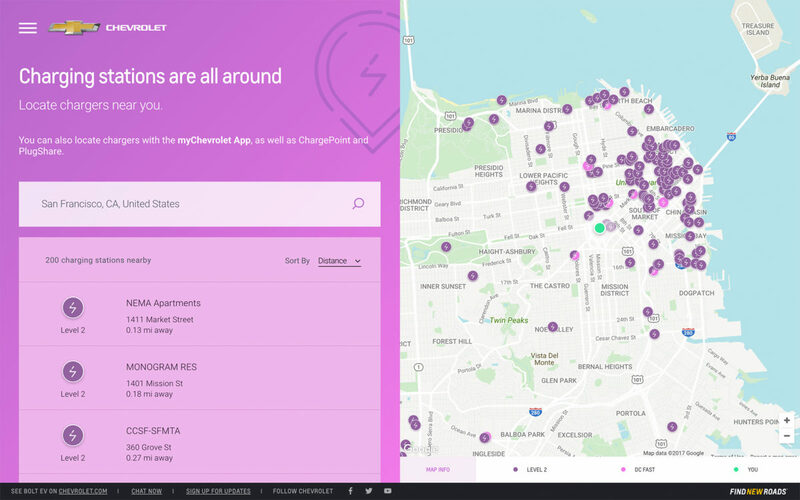 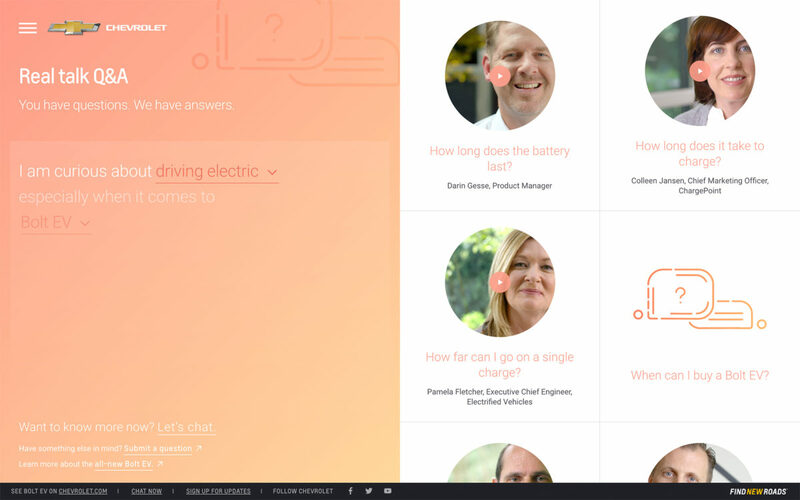 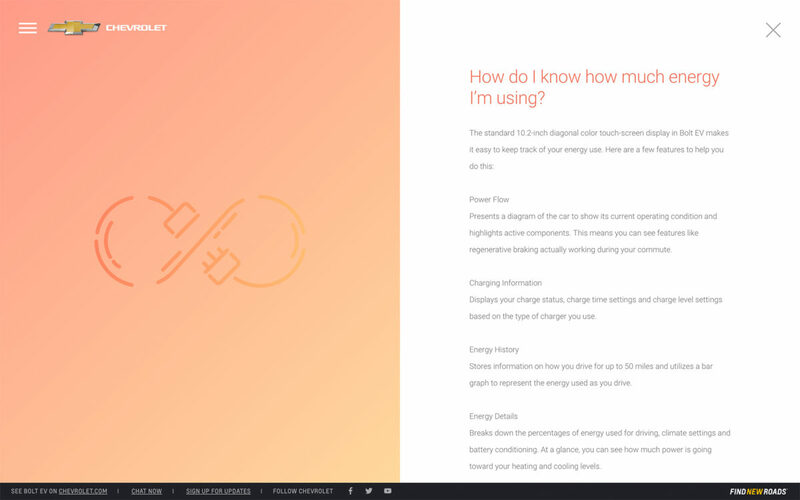 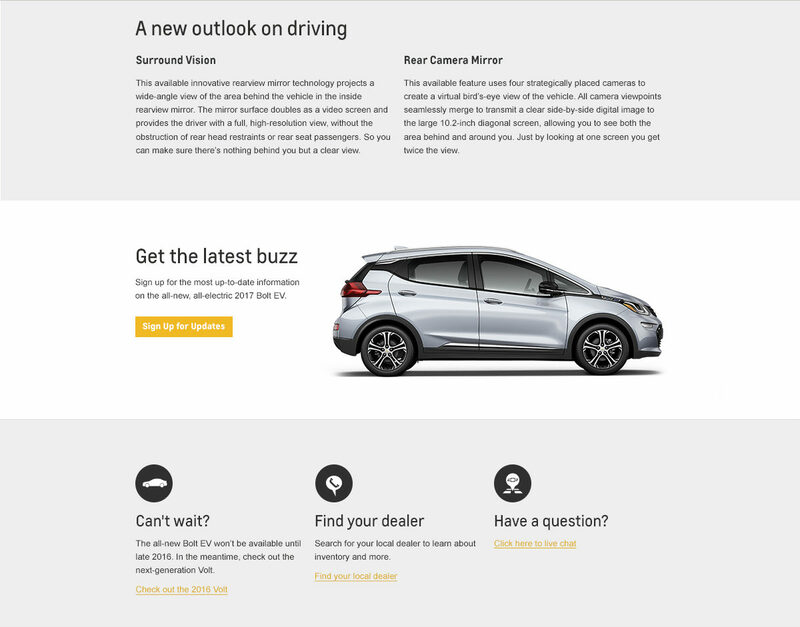 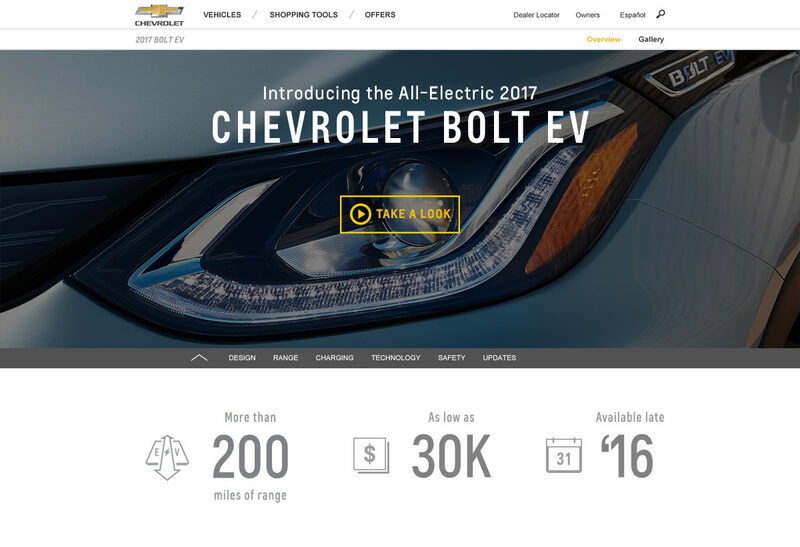 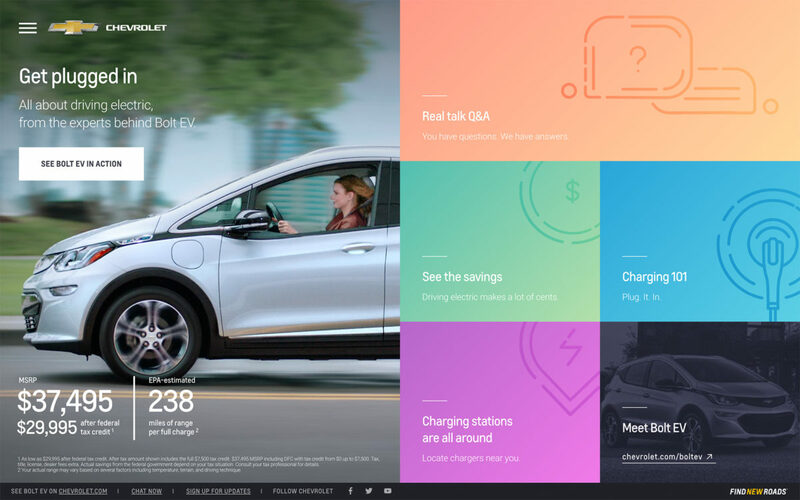 EV Life is a responsive, interactive microsite to support the launch of the new, all-electric Bolt EV. 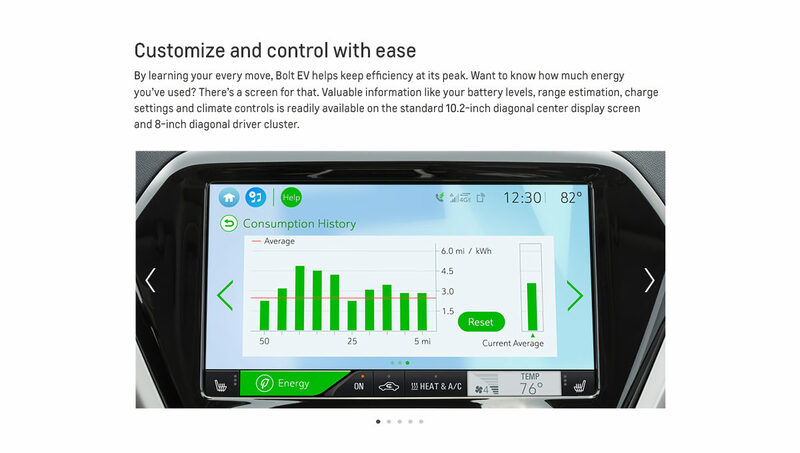 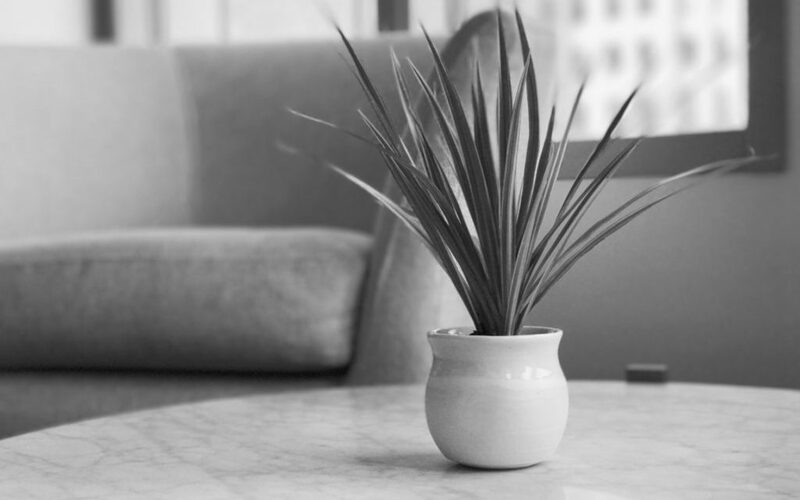 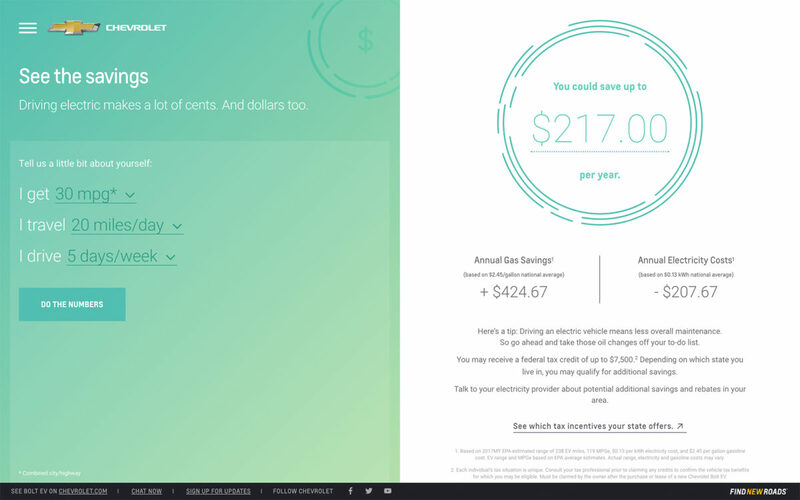 The microsite is a resource for consumers to ease the anxiety that is commonly attached to living an EV lifestyle. 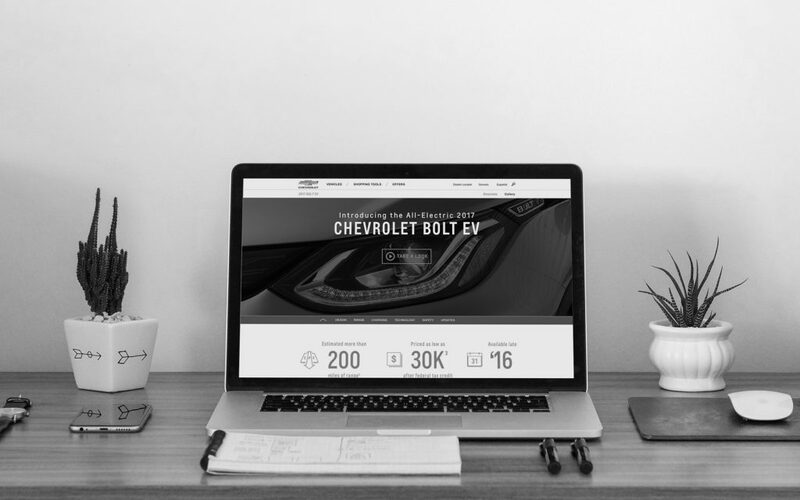 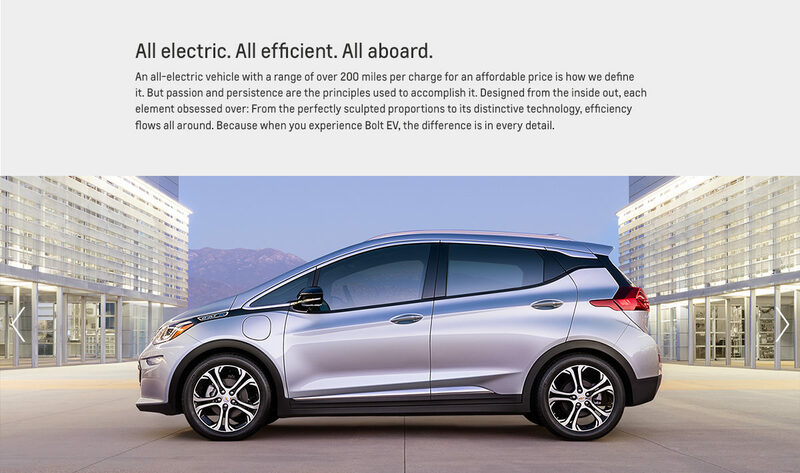 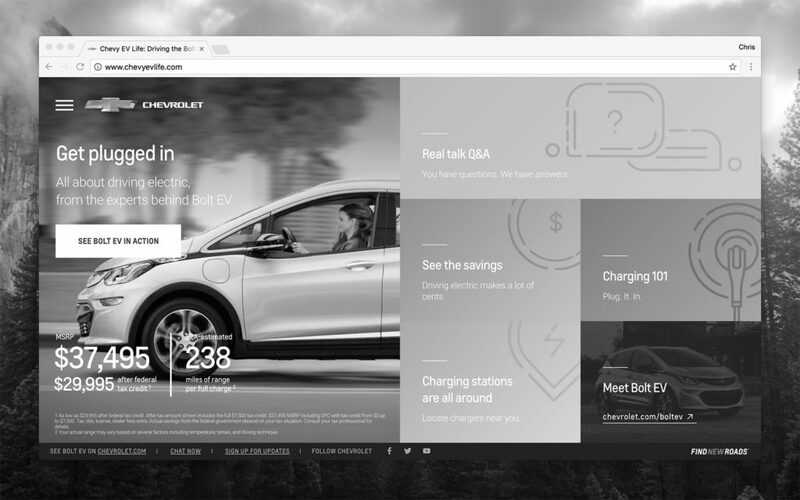 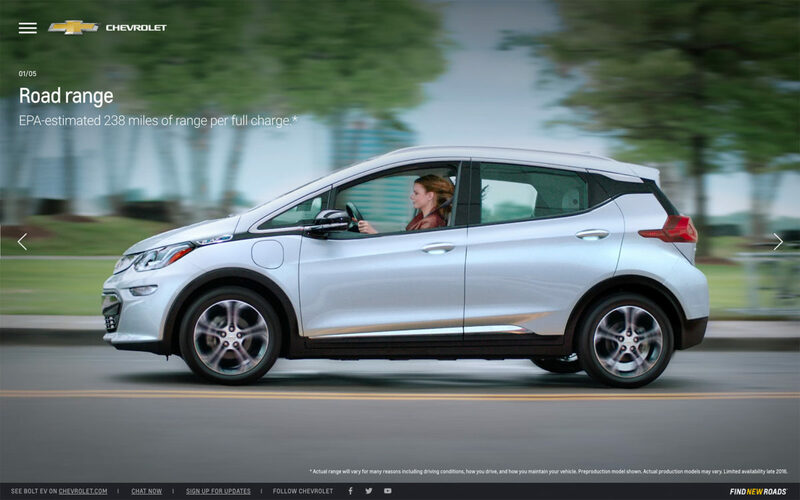 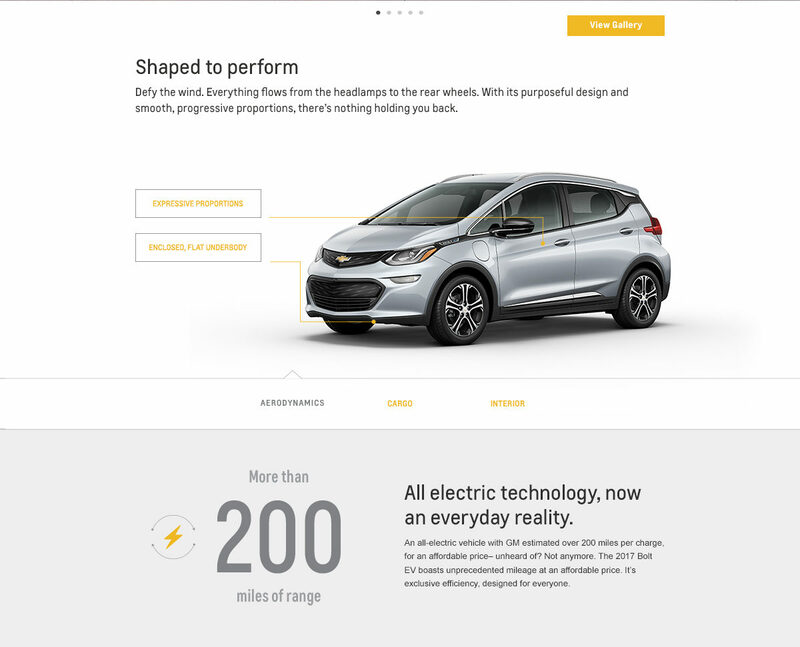 To announce Chevrolet’s first long-range electric vehicle, the Bolt EV, our team developed an interactive reveal page and worked with The Mill to create an immersive CGI video. 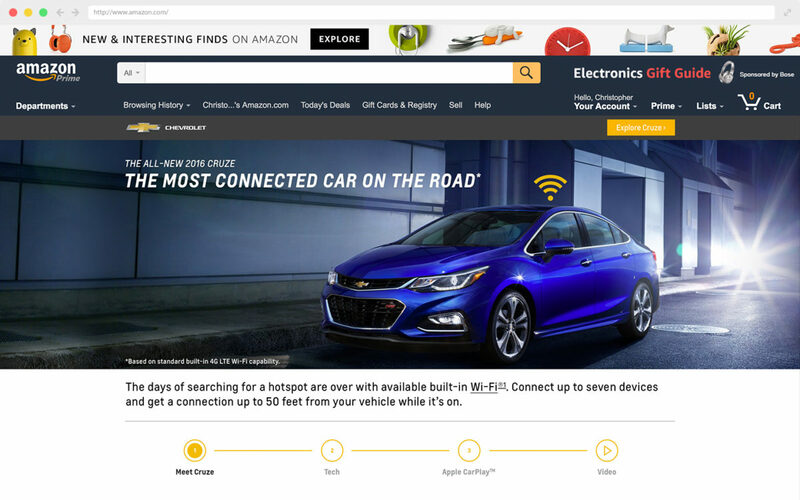 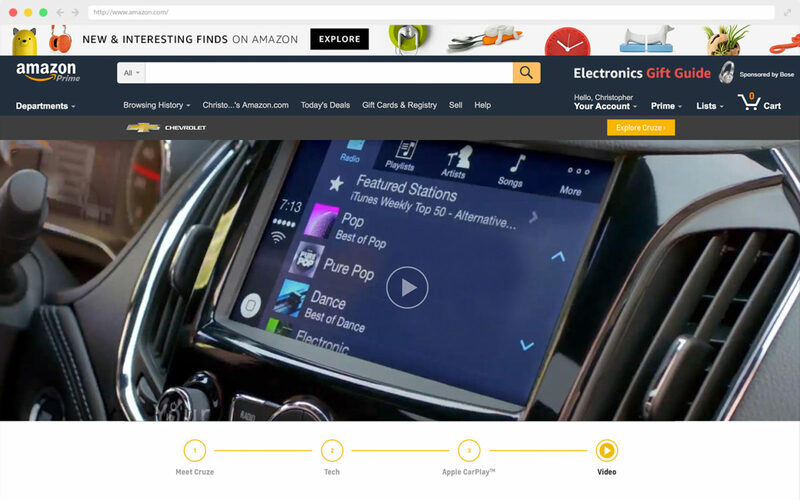 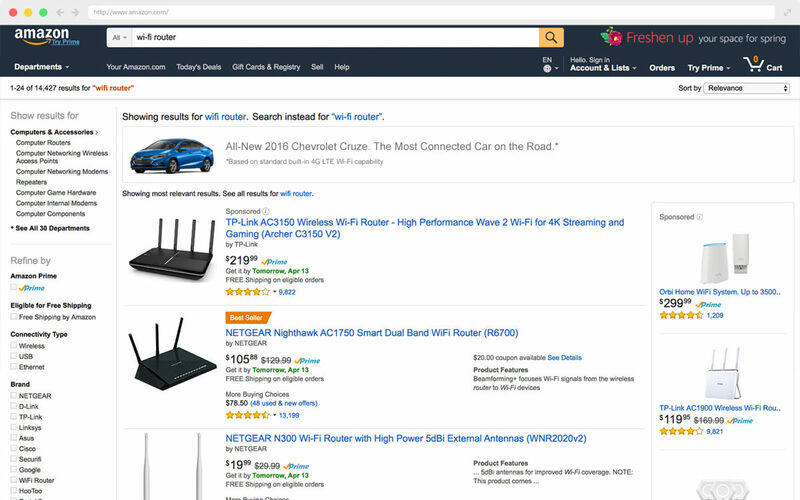 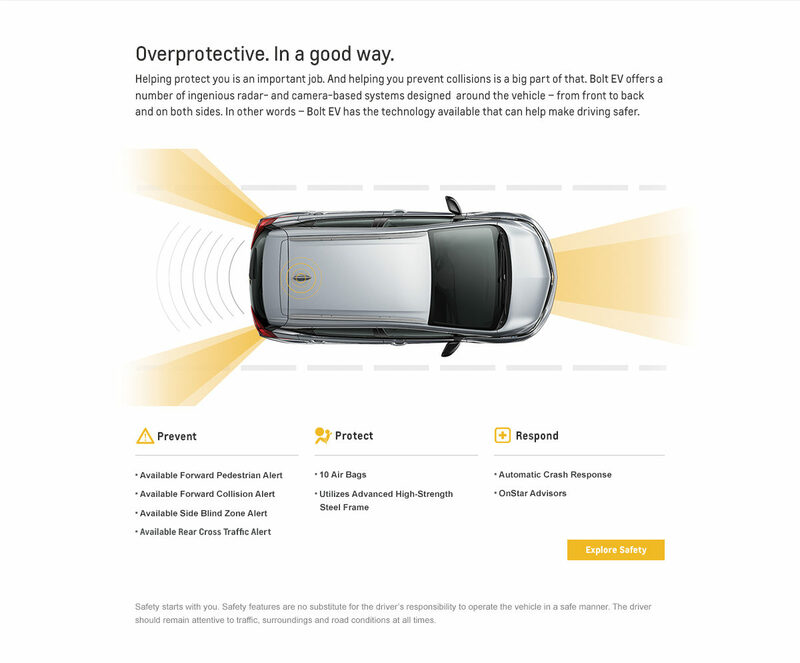 To support the launch of the all-new Chevy Cruze, we created a campaign on Amazon to prove it’s the most connected car on the road. 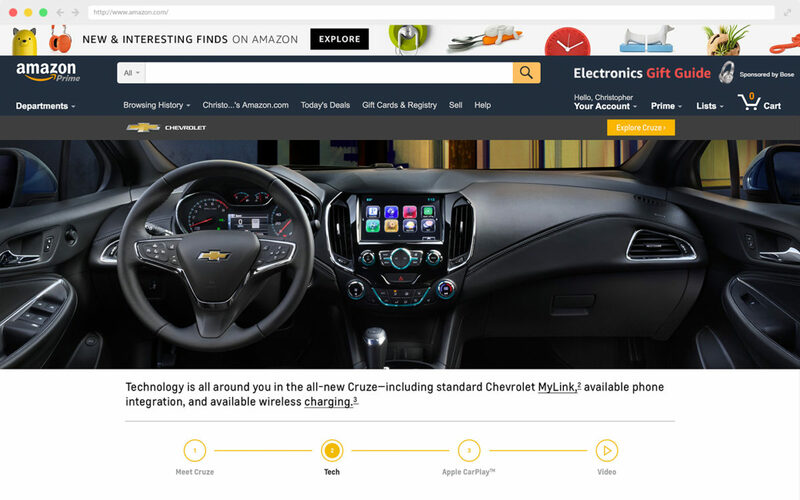 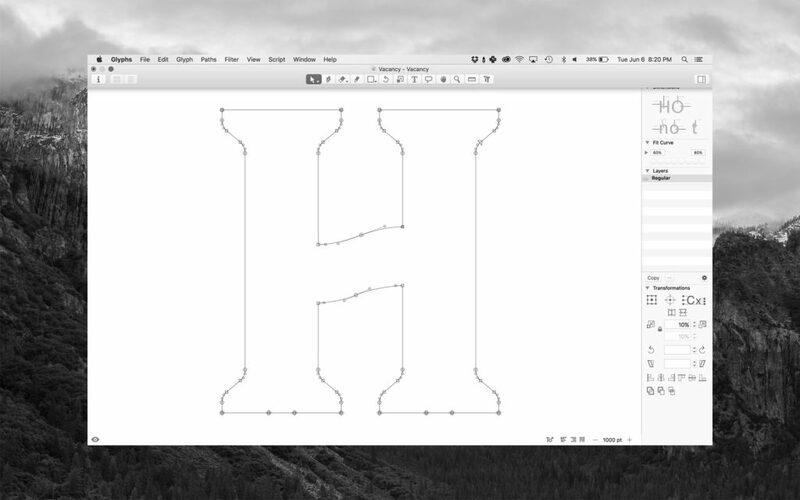 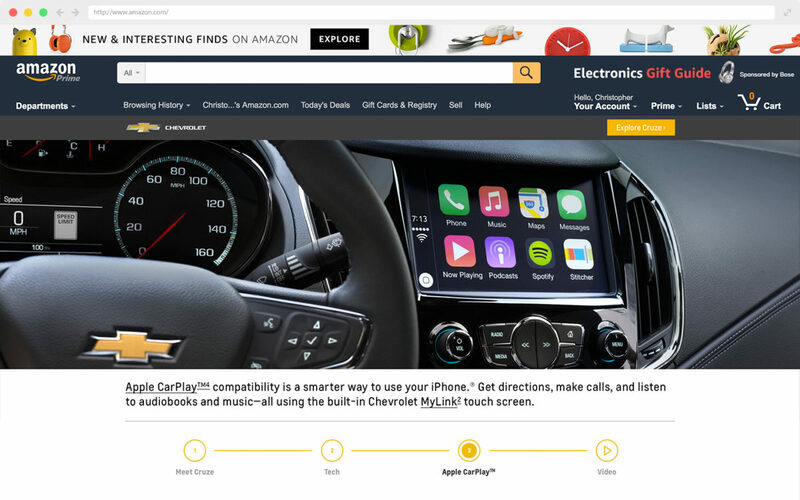 Any time a consumer searches for something relating to the Cruze, such as a wireless router or an Apple product, they’re served a banner. 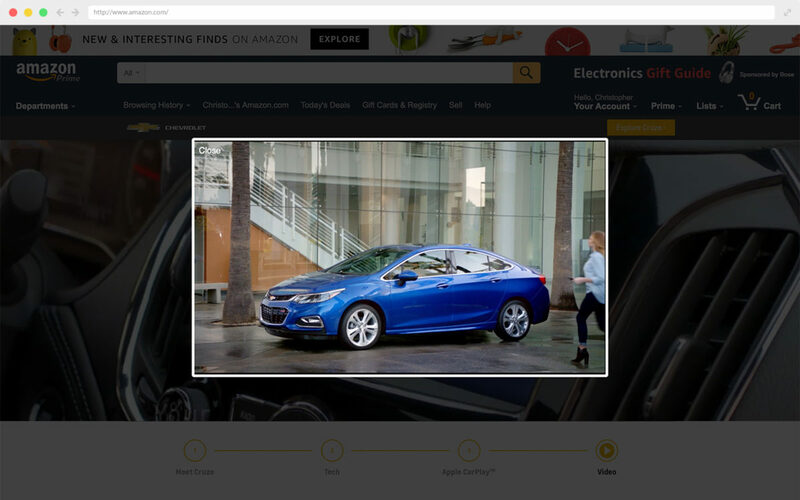 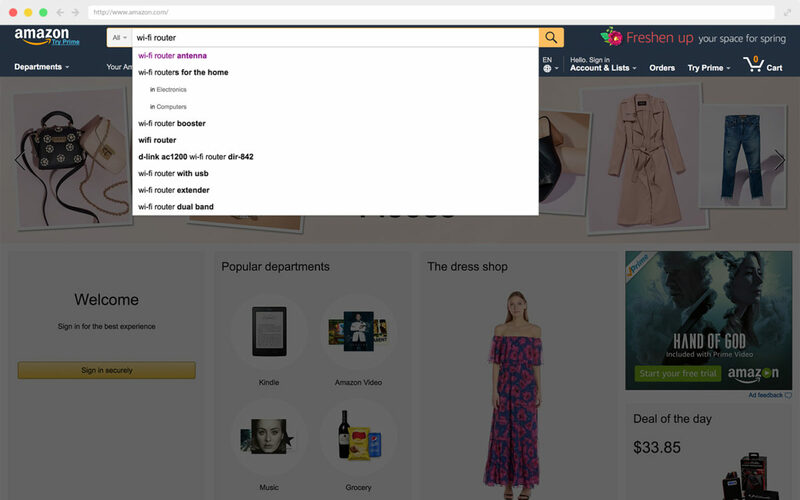 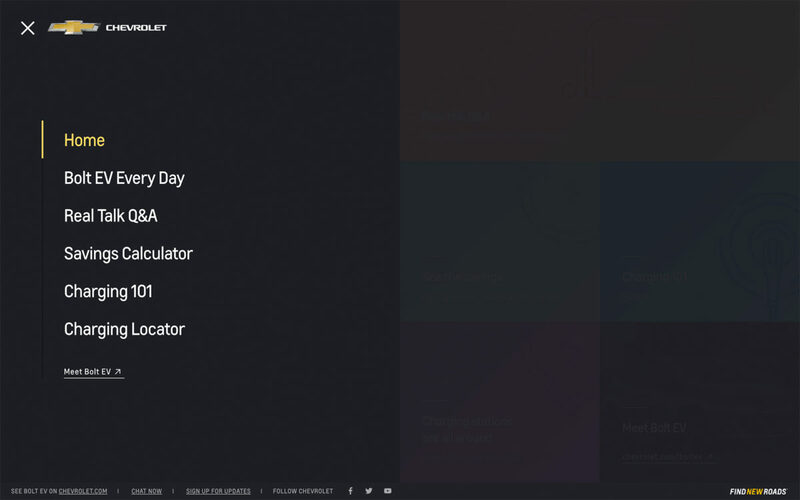 When clicked, they’re taken to a landing page to learn more about the vehicle and its features.